Need a jumpstart? Locked out of your car? Got a flat? Lock-outs — you locked out, fam? We got you. 2 Brothers Towing & Recovery LLC also offers complete car locksmith services. If you need a key replaced or your car unlocked, we’ll send a technician over immediately. 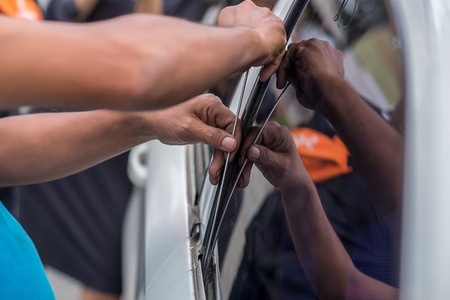 Our professional mechanics specialize in all types of car lockouts—no matter what type of vehicle you’re driving. If you’ve left your keys inside your car, let us get you back on the road quickly! Jump starts — that’s no fun. Let us help. ​Do you need a battery jump start? Eh, no problem. Our servicemen are roaming the Columbus roads, ready to provide an affordable jump start service at any time. You never know when you might need us. What if you come home from work and your vehicle won’t start. You don’t want to be late! Give us a call and we’ll make sure you’re good to roll out soon! ​Our roadside experts know the Columbus roads like the back of their hand—that means pretty well. They’ll stop by and give your car the energy boost it needs—within 30 minutes. What does that mean for you? It means no more waiting around. Our job is to get you back on the road. Jump starting a live battery can be dangerous and should be left to the hands of a trained professional. Good thing you’ve got us, huh? Our friendly, experienced technicians will attach jumper cables to your vehicle, breathing new life into your battery. We can also charge your battery if needed. Flat tires — it could be worse. But really, we got you. Repairing a flat tire can be daunting—and at times—even dangerous. Picture this: you’re broken down in the middle of the night on the side of the road. Cars are whizzing by you, putting you at risk. That’s how horror movies start. So let us come to your rescue. Avoid the serious risk and give us a call. 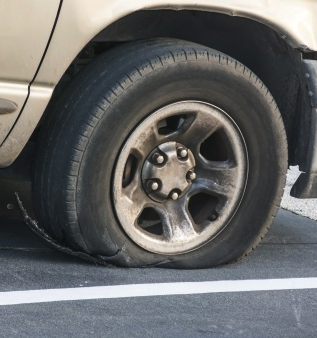 Our roadside experts respond lightning quick to change that pesky flat tire right away. Once you’re in a safe spot, then we can replace the damaged tire. You never know with this crazy Columbus weather where you’ll hit a pothole or slip on ice. We understand those frustrations and will show up within a half an hour to assist you. No more frustrations, no more danger. So if you think of it, we’re like lifesavers! ​No matter what, your car just won’t run. That’s a trouble experienced by many. Despite what’s probably running through your mind right now—it’s not karma. You just ran out of gas. If you’re too far from a gas station, let our guys keep your vehicle functioning. We’ll help you stay on schedule so you don’t have to worry about getting where you need to go. Just give us a call and we’ll help you quickly!